This office with the air structure and the outline drawing of sand glass creates a dynamic and anticonformist universe. 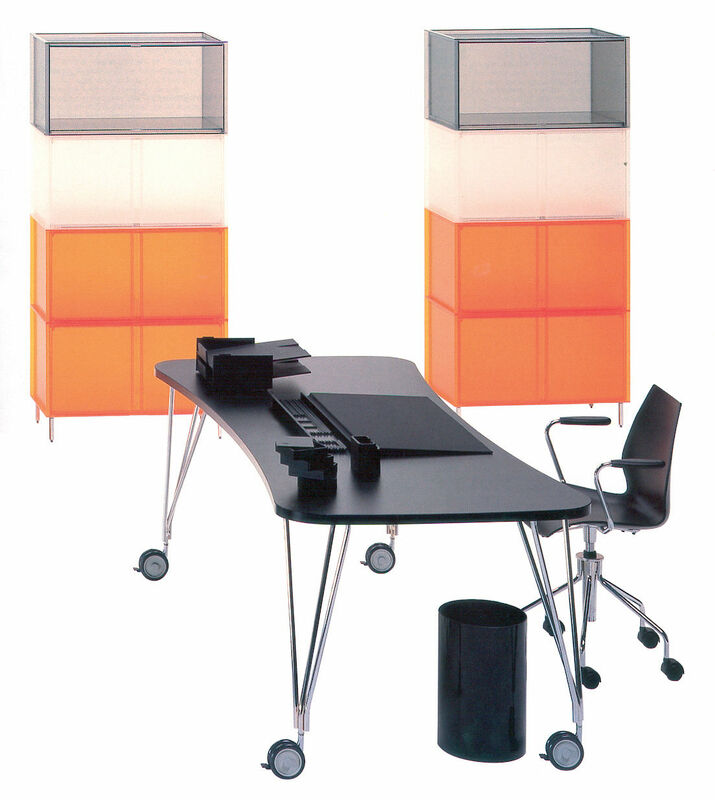 Light, functional and mobile, it coordinates himself easily with the other elements of the line office of Kartell (Mobil, Oxo PC, Partner rack...). Declined in white or slate versions, it exists with feets or casters and a plate of 160 cm, 190 cm or 230 cm.